I recently stumbled onto a new project by the incredible Martin Rauch. 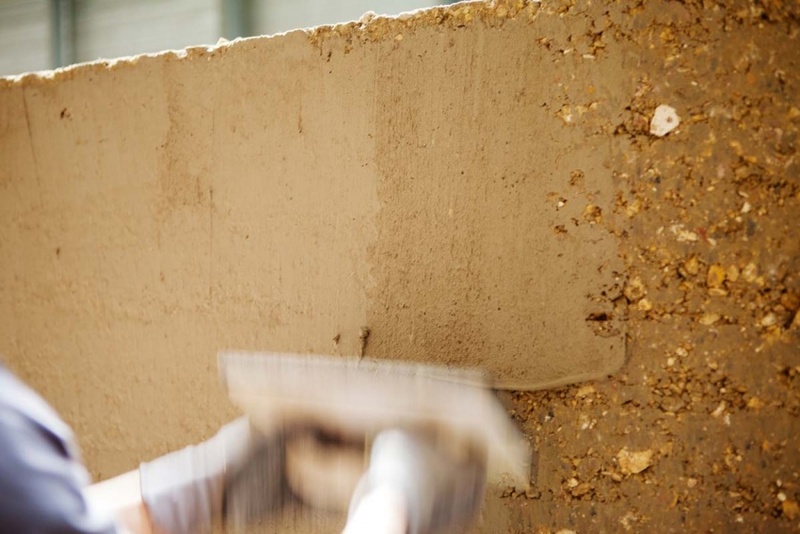 A man who likes pushing the artistic boundaries for modern rammed earth. 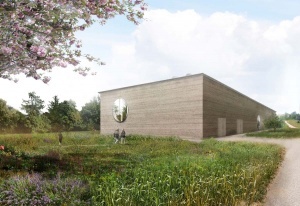 Matrin has started pre-casting rammed earth panels in a factory for construction of the facade of the Ricola Herb Centre in Switzerland. Whilst not the first time this has been done, it is the first of this scale to my knowledge. It appears that there will be a clay render finish coat to cover the joins, which is quite traditional in many parts of the world and offers a great weather coat. 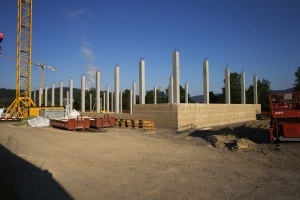 The pre-casting has a potential for enabling low cost, low embodied energy, high thermal mass products, especially on sites with access problems, or projects that require one or two high mass walls. It would be interesting to see the costings on doing such a project. I do wonder if trading local employment for trucks and machinery is the ethical thing to do but I am sure there are situations where it will work well. It works for fired bricks. Food for thought. More info can be found here.